Without a doubt, IMD conducts the most thorough MBA interview. The interview day is divided into four evaluative sections. When you arrive on campus, you will be introduced to the adcom and faculty evaluators as well as a group of applicants who will partake in the same experience as you. Since the adcom will evaluate you on your team interactions and most of your peer-applicants will become your classmates, get to know them, have fun with them, and expand your network. For the first part of the interview, our website’s interview section will help you. Review the interview questions and prepare response to them, or contact one of our consultants to help you prepare for the MBA interview. IMD’s adcom is trying to get to know you, your intentions, and your fit with the school. The questions are similar to those at other schools. They will ask you about your background and goals, team skills and leadership, successes and failures. This part of the interview day will take 45 minutes to one hour and is a great way to help you prepare for the rest of the day. Next you will be asked to present a topic they give you in the morning. You will have 30 minutes to prepare the topic and 5 minutes to present the topic. This is what I call a mini-case. Take a stand on the topic and offer supporting evidence in a cohesive and dynamic manner. You can practice by thinking about issues you have at work or that are in today’s business news. For instance, they may suggest that you present your opinion of the European debt crisis or your opinion of the Euro. Should Germany have to bail out Greece? Can countries that have different political systems successfully use one currency? Give it some thought and present a good argument. They will evaluate your presentation on analysis and delivery, but not on your opinion itself (every business issue has multiple dimensions). Then you will have lunch with alumni. Alumni are trying to get to understand how you will fit in with the culture of the school and they will report what they learn. Let your personality shine through, but be on guard. Alumni are evaluating your value-added to the school. Finally, you will be asked to present the “Case”. Most applicants don’t know how to tackle a case, but from an adcom’s point of view, I believe offering the case is a stroke of brilliance. Much of your MBA education will be case-based and if you know how to tackle a case from day 1, you will have smooth sailing throughout the program. I suggest you read Mark Consentino’s book Case In Point or William Ellet’s The Case Study Handbook well before the interview. IMD will send you the case two weeks prior to your interview day. You will need to prepare that case and on the interview day, faculty will observe you and moderate the case discussion as you and your peer group dissect and present the case. They will be looking for your analysis, teamwork, leadership and presentations skills during the case. 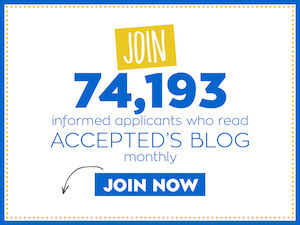 Again, Accepted.com’s consultants are experts in helping you with case interview preparation. At the end of the day, you will be asked to sit in on a class. This is not part of the evaluation, but more of a chance for you to see the IMD faculty and students in action. Most applicants just observe and don’t participate in class, however, if they are discussing a topic in which you are familiar, I suggest you raise your hand and add to the discussion. If you are unfamiliar with the topic, you should just observe the students and how they interact with the faculty. While IMD’s interviews are intense, you should gain a lot from the day. And if offered admission, you will know if IMD is a good fit for you.